The MPD allows you to go from lowering to raising without changing hardware. quickly changed over to a raising system without switching out or replacing hardware. 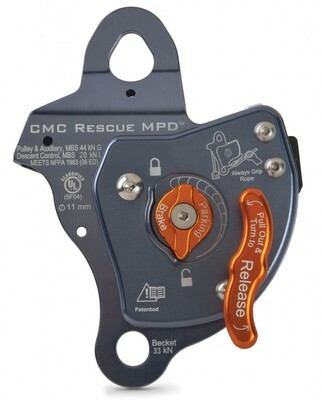 The MPD is UL Classified as a pulley, descent control device and belay device. The MPD comes with a padded Cordura nylon storage bag and User’s Manual. rope. 11 mm model UL rated “T” Technical Use for descent control.